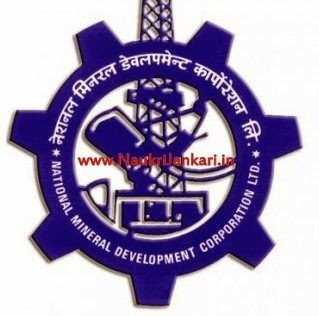 National Mineral Development Corporation (NMDC) is invited for the post of Executive Trainee in 2015. To get further details read out the NMDC Executive Trainee recruitment in 2015. Education Qualification : Candidates must be have passed Graduate Degree with 60% marks / MCA (3 years full time) with 60% marks / PG Diploma in Sociology/Social Work/Labour Welfare/ Personnel Management/IR OR MBA with specialization in Personnel Management & Industrial Relations/HR with 60% marks / Graduation with 60% marks in aggregate and CA (Final) / ICWA (Final).Degree in Engineering/ or Degree in Arts/Science /Commerce with MBA or PG Diploma in Materials Management Minimum 2 year’s duration with 60 % marks. Application fees : General & OBC candidates have to pay Rs. 300 for through net-banking/credit card/debit card. How to apply : Eligible and interested candidates may apply through online mode of application. There is no other mode of application which will be accepted. - Starting date for downloading of Admit Card from NMDC website : 27th April 2015. - Tentative date of written Examination : 17th May 2015. 0 comments for " NMDC Recruitment 2015 for Executive Trainee posts "